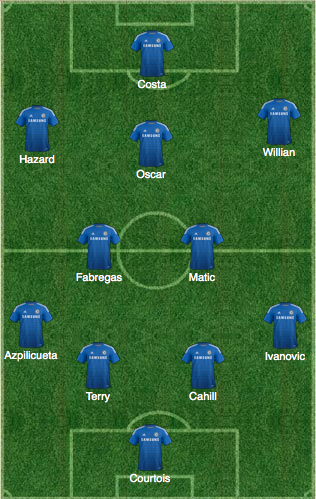 ROTATION: Here's SEVEN changes to the Chelsea side to face Hull on Sunday! As we have seen for the most part this season, Jose Mourinho has settled on his strongest eleven in the Premier League. Now and again we have seen one or two players change but you can pretty much name what he believes to be his first team based on the majority of his team selections. 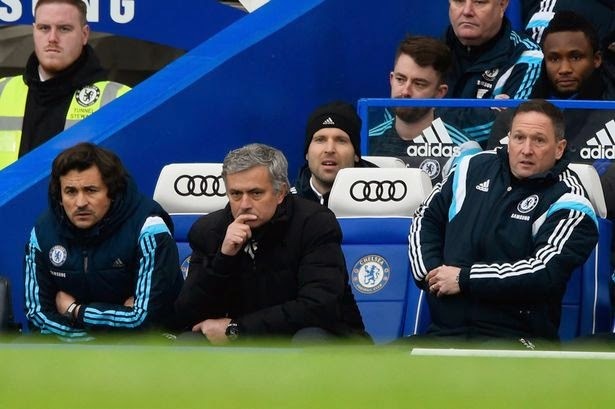 After some disappointing performances in recent weeks, with a full weeks rest ahead of us before we make the trip up north to face Hull on Sunday afternoon, I am asking YOU the Chelsea fan reading this post your opinions on whether or not Jose Mourinho should rotate his players and if so, how many? I am all for it at Hull if I am honest. We should give the fringe players a run out and rest the others. Certain players have had game well below the levels they have set themselves this season and it can do us no harm at all to drop them. If anything, it will help them to refocus their efforts. So to Hull away on Sunday and on paper, a game we should be winning comfortably. Why not make wholesale changes? Why not go with a starting eleven that is as fresh and hungry as possible? This is how I WOULD LIKE Jose Mourinho to start on Sunday - Have a look and see what you think! 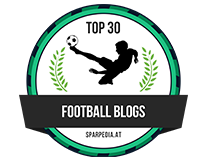 Some people may moan at my selection(s) but I have decided to stick with Eden Hazard for obvious reasons, Cesc Fabregas as he can open up the door with a sublime pass out of nothing, Cesar Azpilicueta back to his favoured position and John Terry leading from the back. Filipe Luis to finally get a game after spending recent weeks on the bench. I would really favour a change in formation for this one to 4-4-2 and give Didier Drogba and Loic Remy a go together. I would also start Juan Cuadrado on the opposite wing to Eden Hazard in order to give him a full ninety minutes because he has had literally five or ten mins here and there. We need to see what he could give us down that right hand side. In the middle I have gone for Ramires alongside Fabregas because of his energy and the fact that he made a real difference to us when he came on for Matic last Sunday. 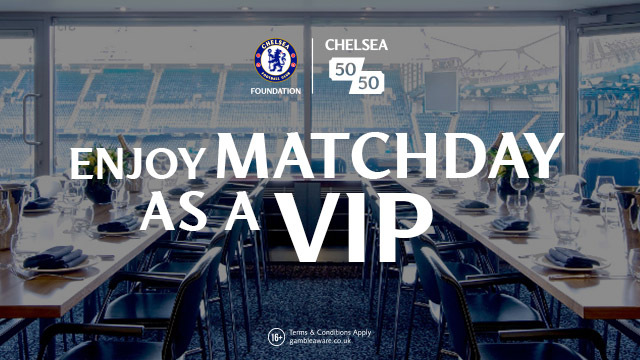 At the back, the impressive Kurt Zouma to play alongside John Terry. In moments of late, we have really lacked someone with natural pace and Zouma offers us that. In away games in particular, it could be decisive. Finally, despite the fact that Courtois has done little wrong of late, I would go for Petr Cech to come back into the side. So to conclude, that's seven changes for this weekend against Hull and should give a freshness to our team. 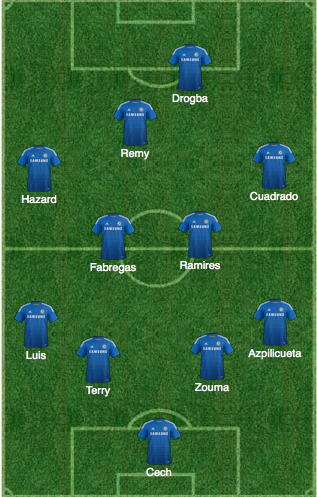 With a switch to 4-4-2 with the Drogba and Remy playing together, it should provide us with more attacking options.